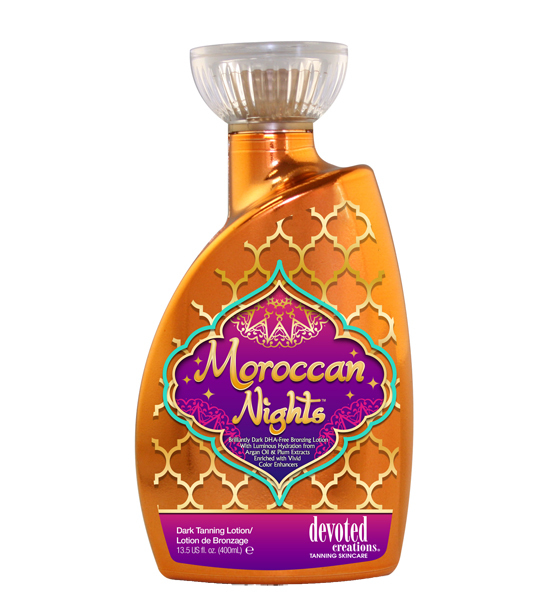 Bathe your skin in Devoted Creation’s Moroccan Nights™ for superior hydration. Rich Argan Oils, Kaduku Plum extracts and Almond Oils will insure your skin stays luminous, supple and glowing. DHA-Free natural bronzing agents envelop the skin in streak-free/ stain-free color that add rich bronzing results to any skin type. No need to wanderlust about dancing barefoot under a moonlit night, get lost in the Moroccan Nights™.